I’ve learned that more than likely you, a friend or family member is aware of a woman who has been sexually assaulted in her lifetime. I personally became aware many years after the incident, of several women whom I’ve known for years that had been sexually assaulted. All I wanted to do once I knew was hold them tightly and hopefully somehow, magically make all of their pain go away which was evident, continued to invade moments of their lives even as strong Survivors. I became aware that even though there a several women empowerment organizations that have been in operation for decades, whose cause is specific support for sexual assault Survivors, there are many women still unaware these organizations exist. As a collective community of women, we’ve got to change that. I ask several friends and members of our ‘Sisterhood’ social community about their knowledge of RAINN when soliciting support for our ‘Sisterhood Share Club’ RUNWITHRAINN Fundraising event in 2018. The organization has been in existence for around twenty-five years, yet not one of approximately six women I spoke with had any awareness of RAINN. At least one of the women knew of someone close to them that had been sexually assaulted. While RAINN is not the only organization whose cause is to empower women regarding this issue, one would think based on the number of years this national organization has been active, at least one of the six women might have known about their amazing work supporting sexual abuse Survivors. April is ‘Sexual Assault Awareness Month‘ (SAAM ). Join ‘Sisterhood Sharing Sessions’ Women Empowerment Campaign for ‘SAAM’ 2019, April 1-April 31st. Support ‘SAAM’ by putting action behind the hashtag in the ‘#MeToo’ movement. View Twitter or web links below for a list of organizations committed to women empowerment, offered by Sisterhood Sharing Sessions as a starting point to take action and get involved. Bring Awareness to the issues of sexual assault from the comfort of your home. Simply share information from any number of organizations committed to women empowerment regarding this specific ongoing social epidemic. Volunteer or Donate to an organization of your choice, whose primary cause and commitment are combatting sexual assault. No volunteer effort or donation is too small. 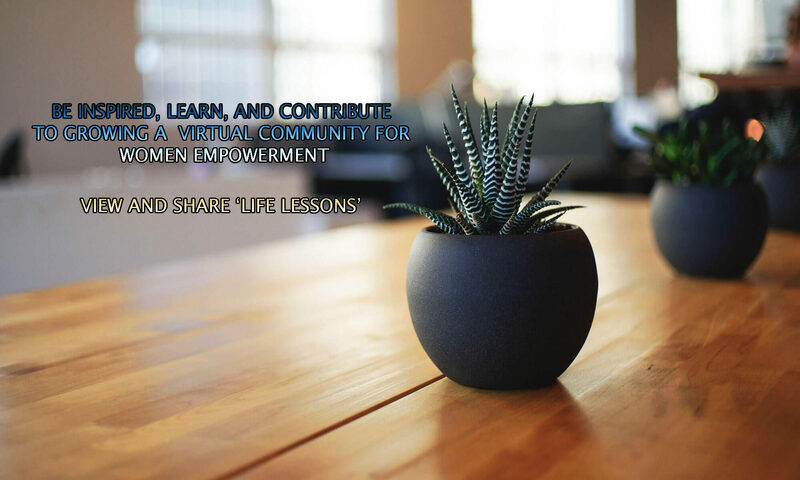 Share your personal ‘Life Lessons Learned’ with friends, family members, or a women’s community group about your best practices for prevention in an attempt to stay safe, or surviving life after a sexual assault. Whatever lessons you feel may resonate, empower, or inspire. View and empower forward, share safety videos from Charlotte Mecklenburg Police Department (CMPD) Officer Brooks’ life lessons learned during a ‘Sisterhood Sharing Sessions’ event on The Power Of Women Sharing Safety Tips. Note: ‘Sisterhood Sharing Sessions ‘ has no affiliation with any of the organizations recommended to support. Our goal is to share and empower forward.